South Korea VPN is a tool which can change your real IP address into Korean IP address in seconds. 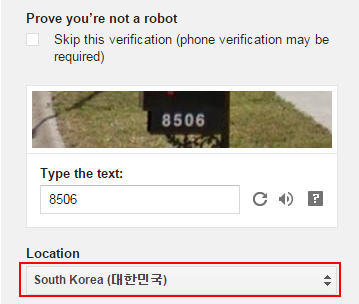 So it is the fastest way to make a trick to get Korean IP address. Meanwhile, it provides a security tunnel for all datas in your devices. Users can search public hotspot almost everywhere. Once connect to the Wi-Fi, you keep your mobile devices in danger. I mean many people who are using the same Wi-Fi can access your phone and check profiles, photos, videos or other data in your mobile devices. So we should pay more attention to protect our privacy in mobile devices. Connect to VPN on devices can avoid from hacker effectively. Many people are looking for South Korea VPN and told me that it is difficulty to find VPN provider with many Korean VPN servers. 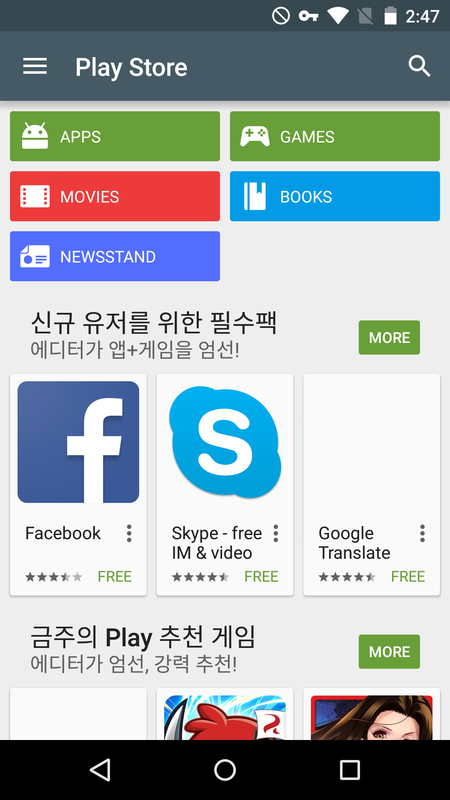 So let me show you how can I connect to South Korean VPN on android. I see there are many free VPN service provider. I would like to ask you how can those free VPN providers to get profit. One is inserting advisement into software, another is getting your personal info in your phone. If you know this and don’t care your privacy, just continue to use free VPN service. If you are very careful your privacy, keep away from free VPN service. Buy a cheap VPN service is good choice. If you don’t wanna invest money into VPN service, find a paid VPN provider provided trial VPN service. If you haven’t found it, follow me to connect to Korea VPN trial on your device. As I know that FlyVPN is providing more than 10 Korea VPN servers. Many VPN providers just offer several Korean servers. If you want to get Korea dedicated IP, you can consider to buy Korea dedicated IP VPN plan. Because I bought FlyVPN shared IP plan, there are about 15 Korean VPN servers in my account. Please reference photo below. 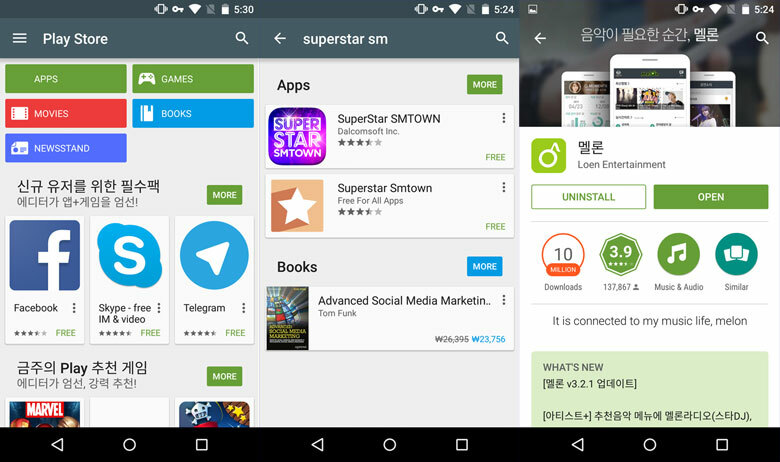 We have known the VPN provider with Korea servers, then we should know how to configure South Korea VPN on android. FlyVPN doesn’t have apps for android, so we have to setup it on android manually. Go ‘Settings’ – Click ‘More’ – Click ‘VPN’ – Click ‘+’ or ‘Add VPN Profile’. Password: Visit http://www.flyvpn.com/freetrial to get latest password. * If you have bought FlyVPN premium account, please login with yourself account info. If you just want to test its Korea VPN server feature, please login with trial VPN account info above. If you can’t connect to Korea PPTP VPN connection, please try to change VPN protocol to be L2TP/IPSec. Read tutorial to learn how to configure L2TP VPN on android. What we need to note is typing Korean VPN server IP address not other countries’ IP address. 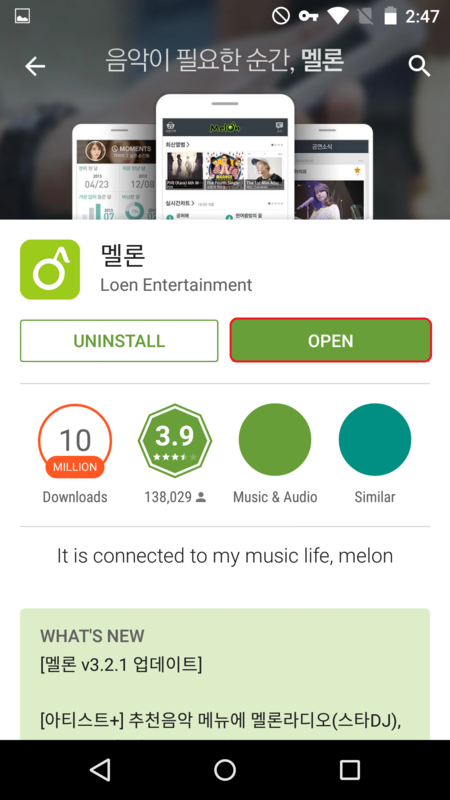 Once connected, you can check whether you have gotten Korean IP address on android devices. 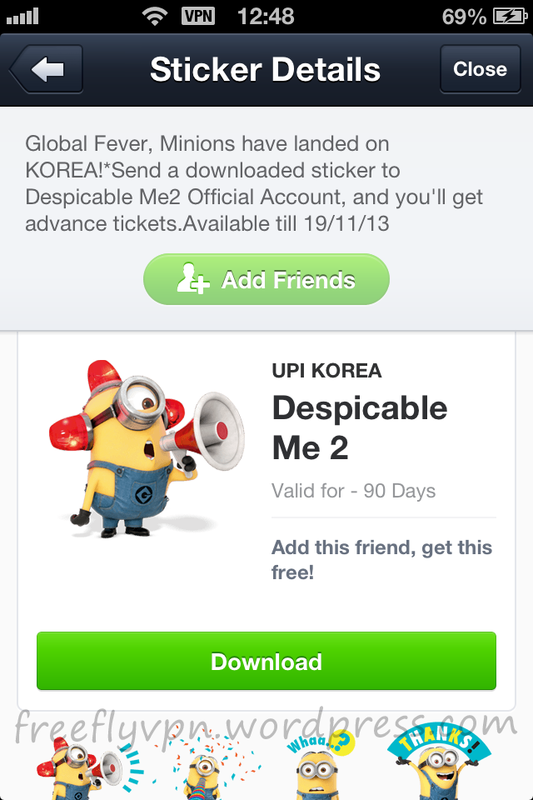 Global Fever, Minions have landed on KOREA! 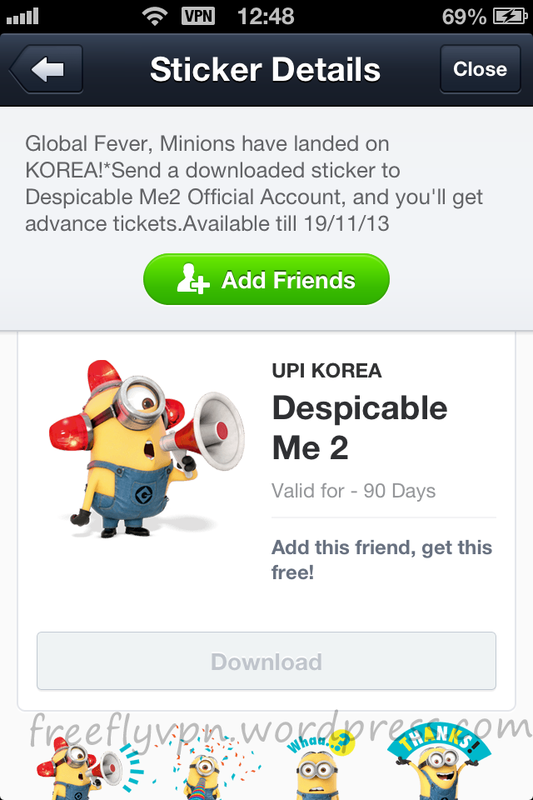 *Send a downloaded sticker to Despicable Me 2 Official Account, and you’ll get advance tickets.Available till 19/11/13.Despicable Me 2 stickers are available in Korea.Configure Korea VPN on iPhone,iPad,Mac OS and Android to download it.Let us preview cute Despicable Me 2 stickers. 1: How to download free Line stickers on iPhone,iPad . b:Uninstall Line program to cancel phone number authentication.Then install it again. d: Log in Line with email. 2:How to download free Line stickers on Android. 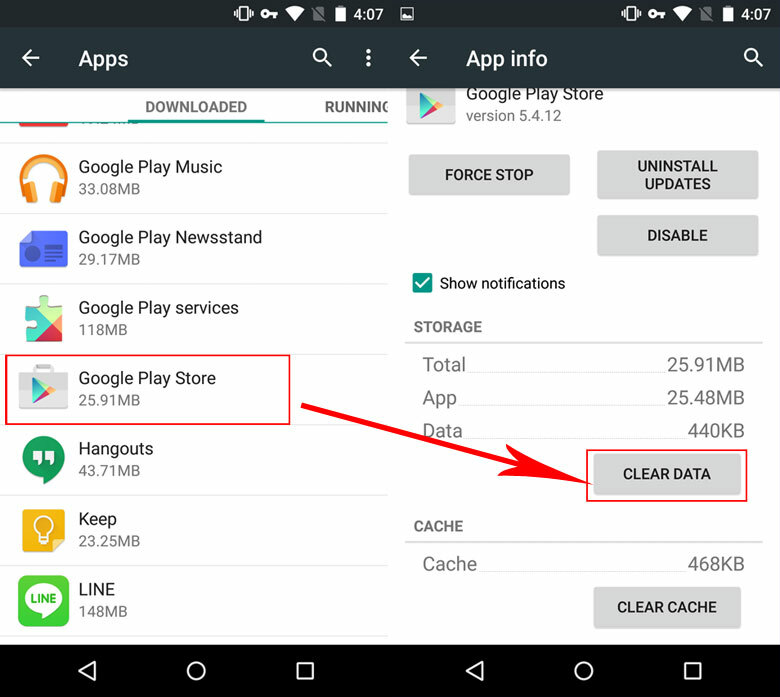 b:Go to “Setting”-“APPs…”-“Line.exe” ,Click “Clear data” and “force stop”. *The target is to cancel phone number authentication,Otherwise,You can’t see the free Line stickers in sticker shop. Note: All the chat history will disappear once cancel phone number authentication. 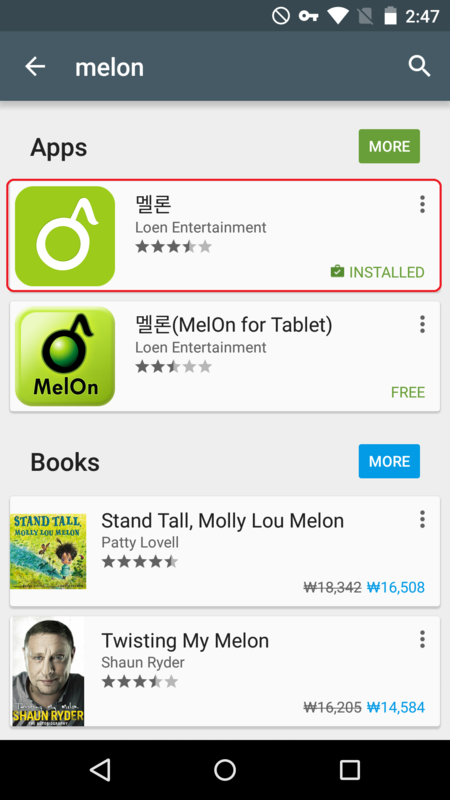 3:How to setup free trial Korea VPN on iPhone,iPad and Android . a:Register an account on FlyVPN website.Then visit http://www.flyvpn.com/User/VpnServers to see Korea VPN server address in trial account. b:Tutorials for setup free trial VPN on devices. 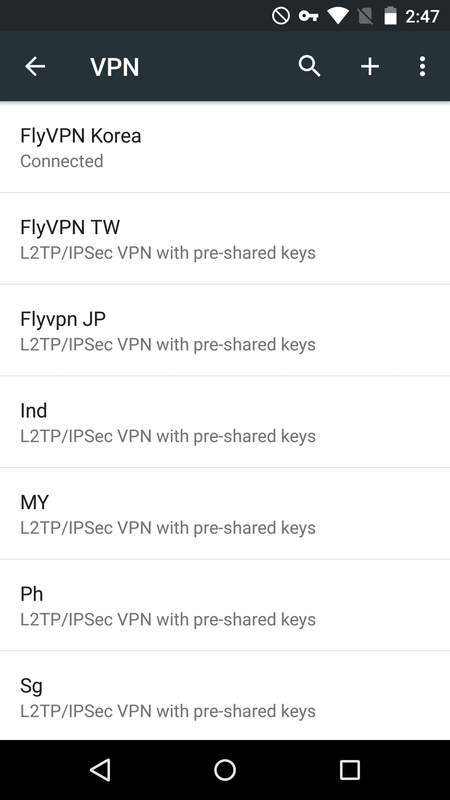 Setup L2TP VPN On Android: http://www.flyvpn.com/How-To-Setup-L2TP-VPN-On-Android-4.html . 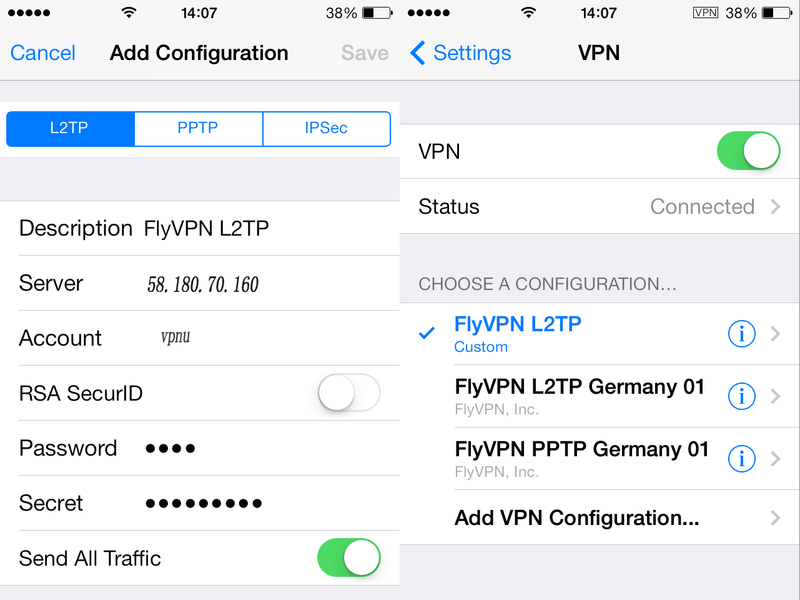 Setup PPTP VPN on iPhone,iPad: http://www.flyvpn.com/How-To-Setup-PPTP-VPN-On-iPhone-iPad.html . 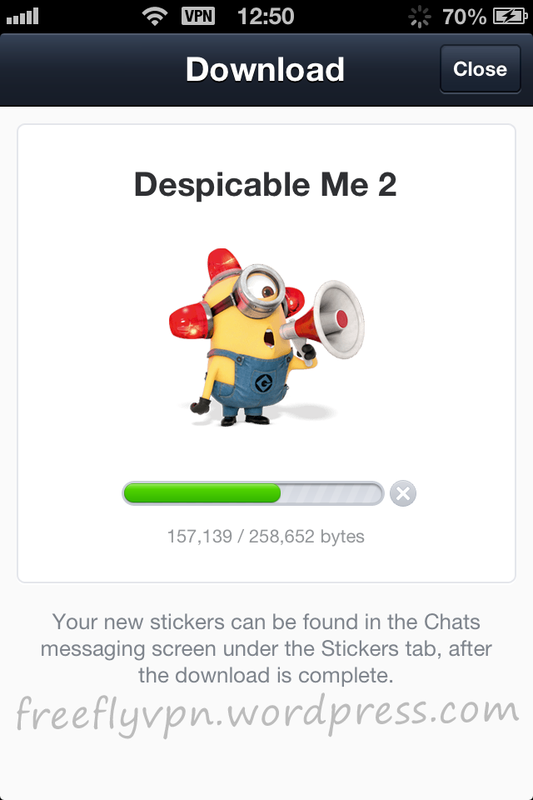 4: After connected to free Korea VPN.Then log in Line account with email or Facebook.You can see Despicable Me 2 in sticker shop under “Free” tab. b:The “Download” button is available.Click “Download” . 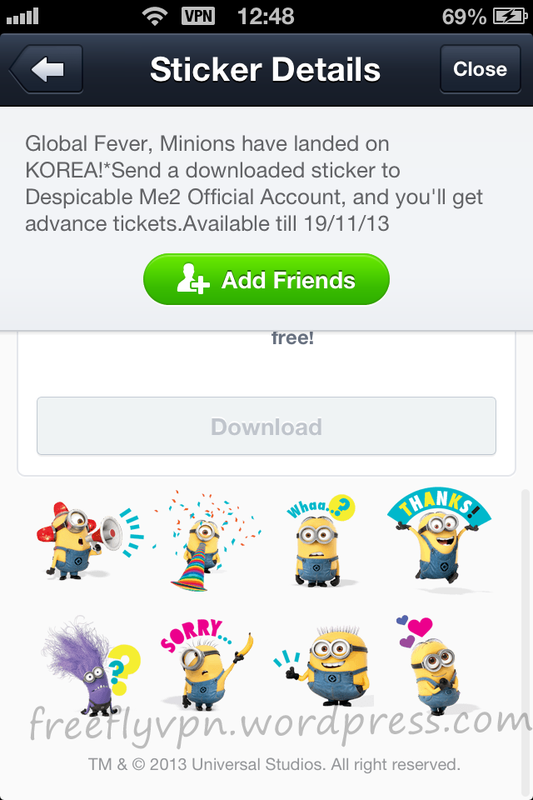 C:Despicable Me 2 stickers have been downloaded from Korea with Korea proxy . Note: Free trial VPN account and password have been listed on FlyVPN web.Every customers can use it 3 times each day.20 minutes each times.